A toy that's been around for hundreds of years! Flick the Jacob's Ladder and create a cool cascading optical illusion. Hands-on fun that doesn't grow old, the Jacob's ladder has been delighting kids of all ages for generations. 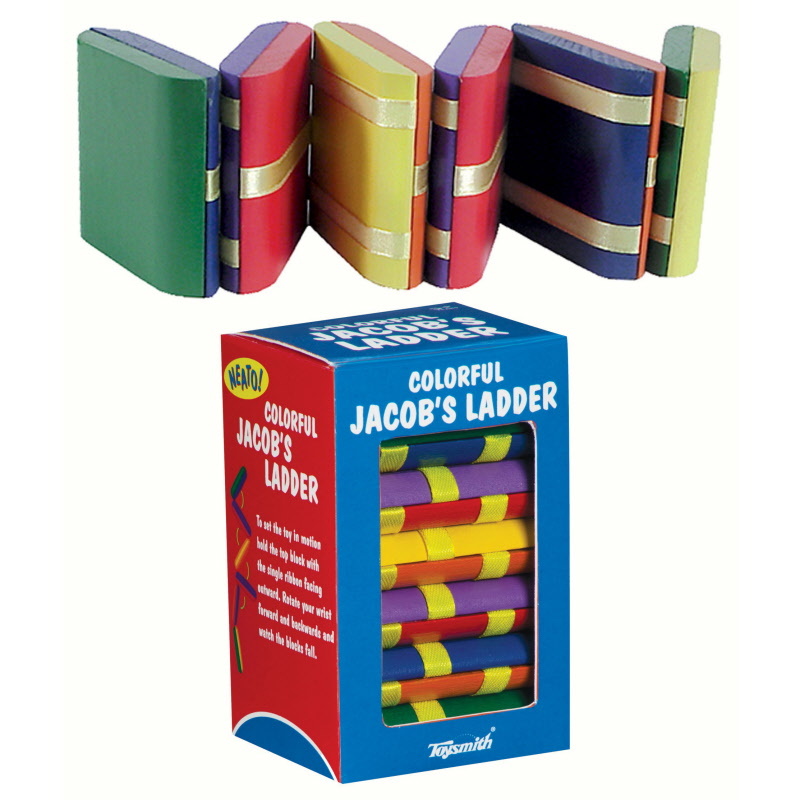 Made of 2 " square wooden blocks connected by colorful ribbons you'll be mesmerized by the colorful wooden waterfall known as the Jacob's Ladder! Unfolded Ladder is approximately 1 foot in length!